Harold Balazs died Saturday night at age 89. 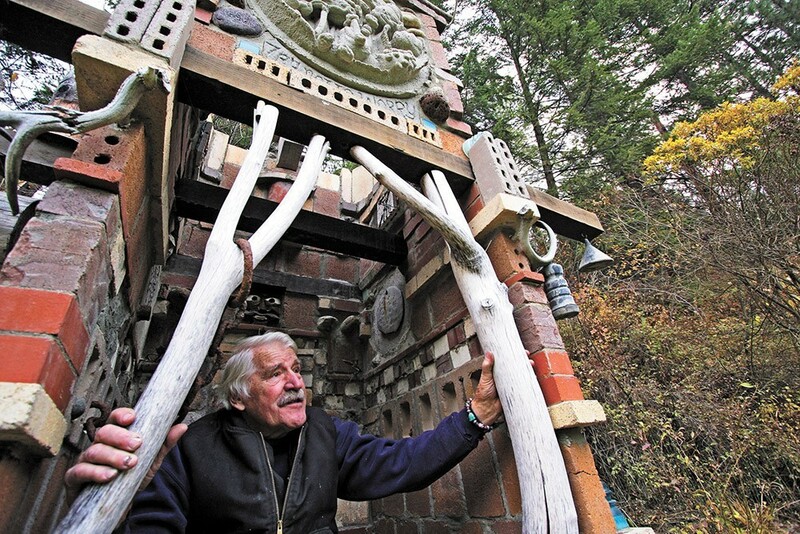 Over more than seven decades, Harold Balazs produced an uncounted number of private artworks — drawings, prints, enamel panels and jewelry, sculpture and assemblages — and hundreds of public works throughout Washington, Alaska, Oregon, California, Montana and Idaho, as well as a piece in Westlake, Ohio, where he was born. Locally, his public work includes the Rotary Fountain at the entrance of Riverfront Park and a piece known as the "Lantern" outside of the INB Performing Arts Center. Balazs died Saturday night at age 89, although a final exhibition, I Did It My Way, is set to open on Jan. 12 at The Art Spirit Gallery in Coeur d'Alene. It will mark the end of long and remarkable career of an artist whose legacy looms large over the region. “Everyone calls [Harold] 'a force of nature,' and of course he really was and his influence just is multi-generational,” says Tom Kundig, whose father, Moritz Kundig, met Balazs in the ‘50s while skiing. The senior Kundig, an architect and designer of the Unitarian Church and Spokane Civic Theater, was part of a cadre of Modernists who helped define Spokane’s cityscape; Balazs fell right in with them. “Harold is the most generous guy I know,” says longtime friend and fellow artist Mel McCuddin, who met Balazs met in the mid-'50s at the Corbin Art Center. McCuddin’s earliest impression of Balazs was of how devoted he was to making a living with his art, especially his enamel jewelry and other items he sold through the former furnishings store, Joel. He sometimes wondered if Balazs might have had an easier time living elsewhere. “He felt about New York like I do; you could get swallowed up by it,” says McCuddin, who was 80 when he and 85-year-old Harold exhibited together at The Art Spirit Gallery. Pick up next week's Inlander for a larger tribute to Balazs' long, distinguished life and career.